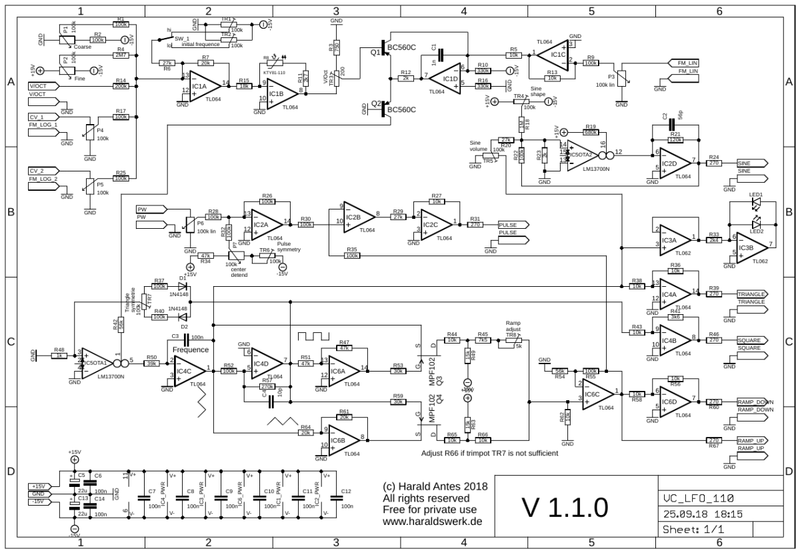 A VC LFO with multiple synced output waveforms is a very useful and versatile module. You can't have enough of them. They can add a lot to sounds making them more animated. This one provides triangle, ramp up, ramp down pulse. square and sine wave output (-5V to +5V). The frequency range is easily adjusted to your needs from some minute per cycle up to 700Hz. I started with the VC LFO design form Ray Wilson MFOS but changed the exponentiator and pulse adjust schematic completely. I have added a range switch and a linear FM input as well. Pulse symmetry. Set the PW pot to the center point. 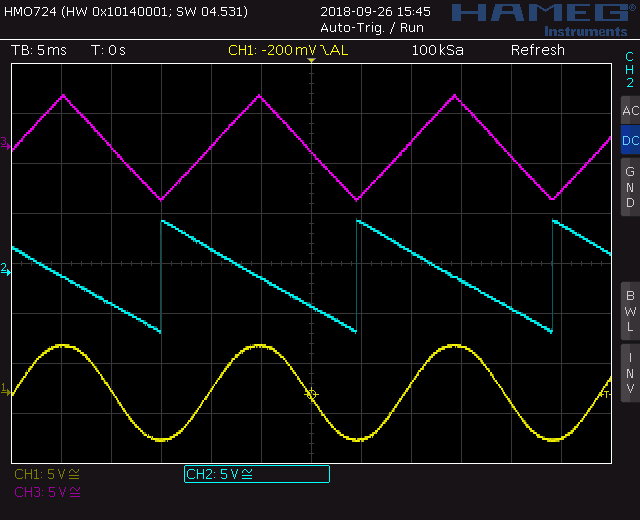 Adjust TR6 for the pulse output symmetry. Sine adjust. You have to experiment here a bit until you are satisfied. Adjust TR5 for the sine volume and TR4 for the sine shape. They are not independent. Trial and error helps. If you are not satisfied with the outcome you can experiment with changing R19, R20 and R22. log adjust. 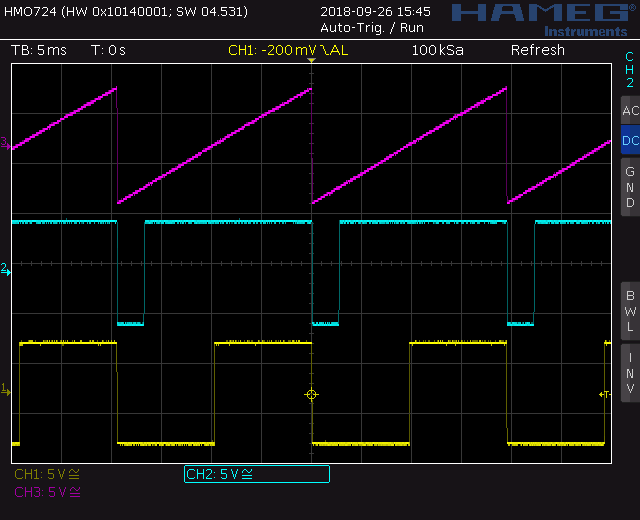 Set TR3 so that a 1V voltage change at the V/Oct input causes a change og 17.3mV at the basis of Q1. Don't expect a close V/Oct characteristic. But ist is not bad either. Initial frequency adjust. Set SW1 to hi. Adjust TR1 to about 10Hz. Set SW1 to lo. Adjust TR2 to 1Hz. This is only a starting point. You can set the initial frequency where ever you want. Hint: Build multiple LFO. You will need them.